We are attending the NexTV Series CEE 2018 in Berlin! – You are there as well? 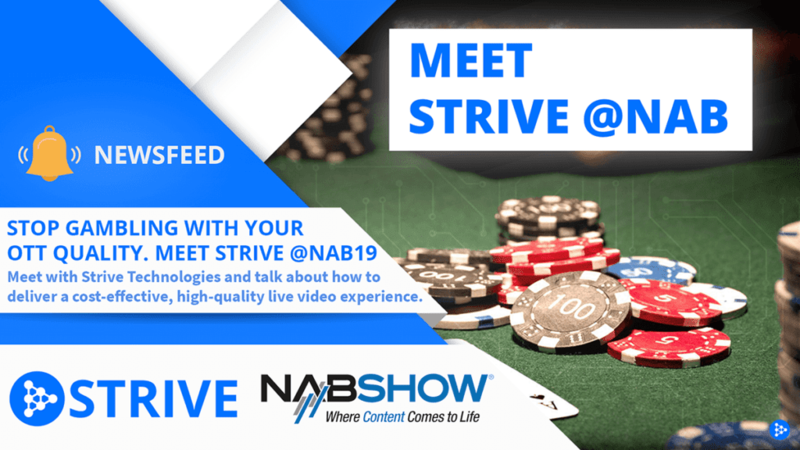 Great, let’s meet and talk about live OTT video streaming and how we deal with it! The NexTV Series CEE brings together the key industry players from Central and Eastern Europe markets offering a unique opportunity to discuss strategic ventures and address pertinent challenges. This year, Strive has the honor to be a sponsor of the event! We are happy to meet everyone who is interested in learning more about the next generation video delivery technology. Come visit us at our booth where we will showcase our technology, talk about customer stories and potential use cases for your business! Let’s get into tech talk about P2P live video delivery. Find out more about our current projects, the latest developments, how we managed to integrate Strive Flink into the intranet of one of Germany’s top 30 DAX companies or simply share your ideas with us.